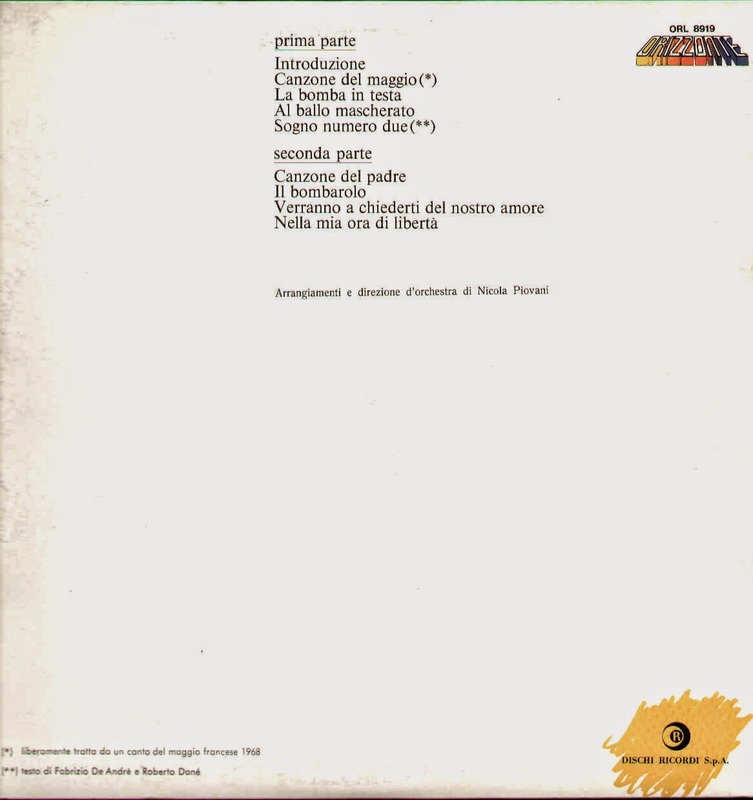 According to the liner notes, after having listened to "Canzone del Maggio" with new ears, the worker compares his life of good sense, individualism and fears with the lives of the students who had the courage to rebel against the system that oppressed them. His doubts increase and he feels like the students were right. But he realizes he can't really unite with them given his conditioning and situation. He decides to act independently and alone, to throw a bomb into a masked ball where the myths and cultural values of the bourgeois powers are on display, and he imagines the results (hence, "the bomb in the head"). were few more than theirs. But it doesn’t matter, now I return to work. of one single May, of one single country. and I don’t feel normal. and now it’s late, and now I return to work. to be able to bleed. but maybe no longer wanting to endure. Who knows what one tries to liberate? with the fear of not returning to work. without having to pretend I’m innocent. without my fear I trust myself little. Now I'm late for my friends. always agreeable, always more vague. among the guests of a masked ball. and to have no mercy for my first time. 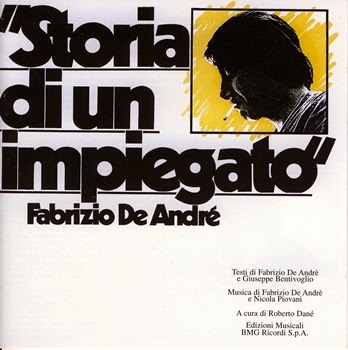 Storia di un impiegato, released in 1973, tells the story of a worker who, inspired by a song about the French student riots of May/June 1968, decides to become a revolutionary. De André hoped to make a poetic interpretation of the events of 1968, but wanted to burn the album upon its release because he felt it ended up as a political album, with him telling people how to act. The lyrics were co-written with Giuseppe Bentivoglio, and the resultant anarchist/Marxist texts are sometimes confusing and obscure. The music was co-written with Nicola Piovani, who also co-wrote Non al denaro non all'amore né al cielo.